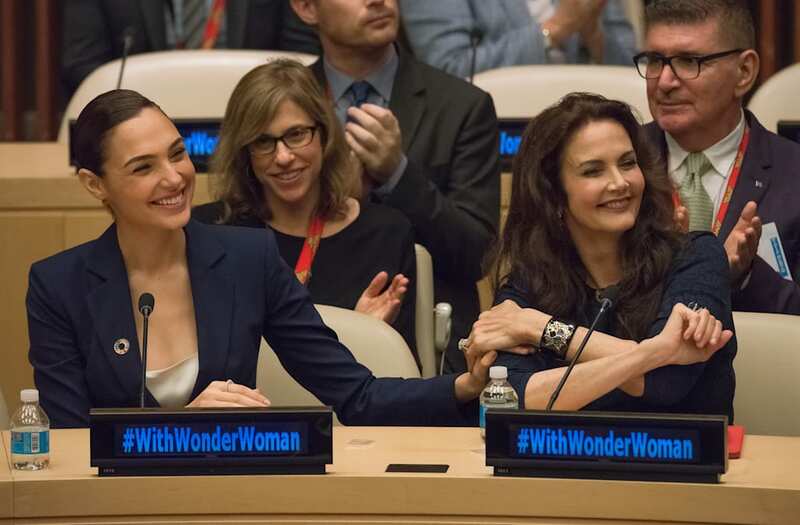 Wonder Woman has one less job to do: serving as a United Nations honorary ambassador. And no, we don't mean Gal Gadot or even Lynda Carter. We're talking about the fictional superhero character who was named an honorary ambassador for the empowerment of women and girls back in October. But because of her "scantily clad" look, many people — including U.N. staffers — were upset she got the title. More than 44,000 people signed a petition, which reads in part, "The bottom line appears to be that the United Nations was unable to find a real life woman that would be able to champion the rights of ALL women." Although Wonder Woman does show a bit of skin in the recent Warner Bros. movies, it's worth noting the Amazon princess has dressed a bit more modestly in the comics lately. The U.N. hasn't given an official reason for ending Wonder Woman's role. Her campaign was supposed to carry into next year, but a U.N. spokesperson told The Guardian that fictional characters usually don't hold ambassadorships for very long. In the past, the U.N. has tapped Disney's Tinker Bell to be its ambassador of green, and Winnie the Pooh as its ambassador of friendship.